Do want to know how to migrate Exchange Server to Exchange Online? Have you found any relevant method till yet for the same? If your answer is in negative, then do not worry. We have come with an automated solution to move Exchange Server mailboxes to Exchange Online. Before, that let us go through a manual approach to complete the process. This Exchange Deployment Assistant will create a step by step guide for you, which you need to follow. Now, with the help of the guide provided by Exchange Deployment Assistant, you need to be sure that Exchange Server infrastructure supports Outlook Anywhere & Autodiscover. Once this step is completed, you can go for the next stage of this process. Enter the requested information. You need to confirm that you are using Autodiscover for the detection of server settings. Now, type in the Verification code and click on Perform Test. In case the test fails, use the report generated & the Exchange Deployment Assistant for the resolution of the issues. In this step, you need to choose a user who will get the report after the migration. You can select multiple accounts. Now, if you are prepared to begin the migration, then start the batch automatically. If not, then select manually start the batch later. You have to wait for some time for the completion of the process. To see the details of migration, click on View Details option. Once the synchronization from Exchange Server to Exchange Online is completed and all accounts are provisioned, a report will be emailed to you. Now, as soon as you get the report, you can proceed to the completion of the process. Migrate Public Folders: This means the migration of Exchange Public folders to Exchange Online. Assign Office 365 licenses to all the users. After the completion of migration of all the emails to Office 365 and replication of MX record DNS, you can stop the process of migration. The above-mentioned manual method is a process in, which users cannot rely on. As there is a chance of loss of data in Exchange Server to Exchange Online migration method, users have to devote much time to complete it, for some users it is not easy to understand, etc. Considering the limitations associated with manual approach, there is an alternative method to migrate Exchange Server mailboxes to Exchange Online. 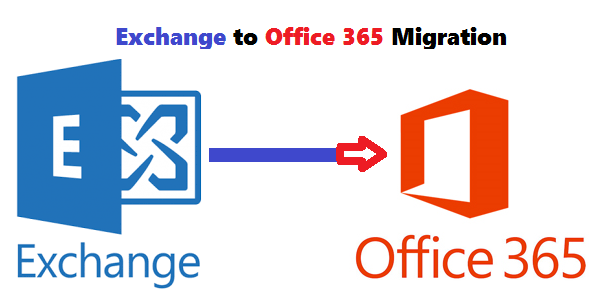 The name of this utility is Exchange to Office 365 Migration tool. With this utility, the process of moving from Microsoft Exchange to Exchange Online becomes very easy and simple. The tool moves the data along with the items and attributes. It is compatible with all the versions of Windows Operating System and has no file size limitation.